The Western Center Academy (WCA) was founded on the campus of the Western Science Center Museum and the MWD Diamond Valley Lake Visitor Center on the edge of a nature reserve containing Diamond Valley Lake. As such, the founders determined that a hands-on science, technology, engineering, and mathematics (STEM) focus was perfect as STEM career readiness was a significant need in the Hemet valley at the time and fit perfectly in the school’s physical environment. The development of the middle school focused on this mission and the expansion into high school grades followed suit four years later. One of the things that makes Western Center Academy unique is our STEM labs. We pride ourselves on the hands-on, collaborative, technology-infused lessons in our core classes that we refer to as “Museum Discovery Learning.” In our STEM lab classes, this discovery learning is at another level altogether. In middle school, our students take their four core classes in the morning at 59 minutes each. In the afternoon, they are enrolled in a 68-minute STEM lab class. The courses are high-interest topics where students, in groups, build, program, and investigate. Teachers are able to determine the topic for the lab classes based upon their own passions and the interests of their students. The topics change occasionally as content evolves and personnel change. The middle school STEM lab classes rotate every 9 weeks. 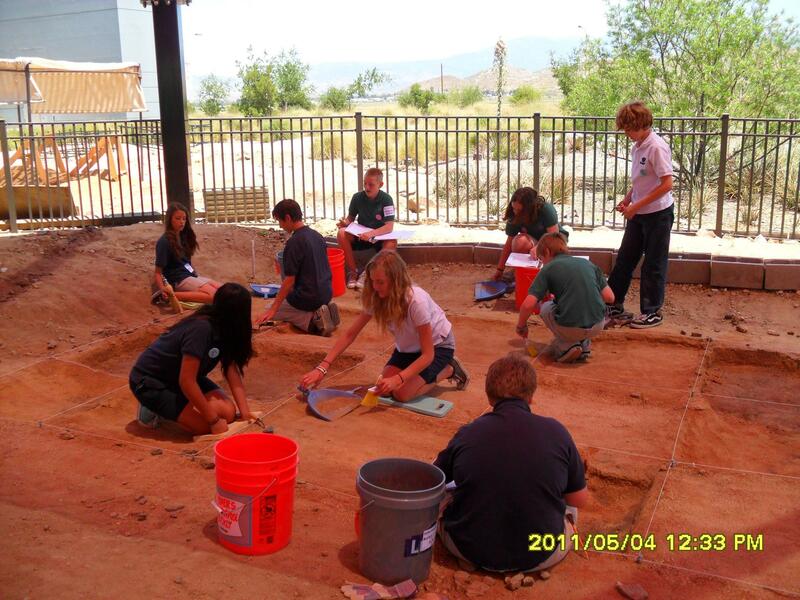 Sixth graders rotate through Beginning Robotics, Coding, Engineering, and an Archaeology course held in part in the Western Science Center’s simulated dig site. 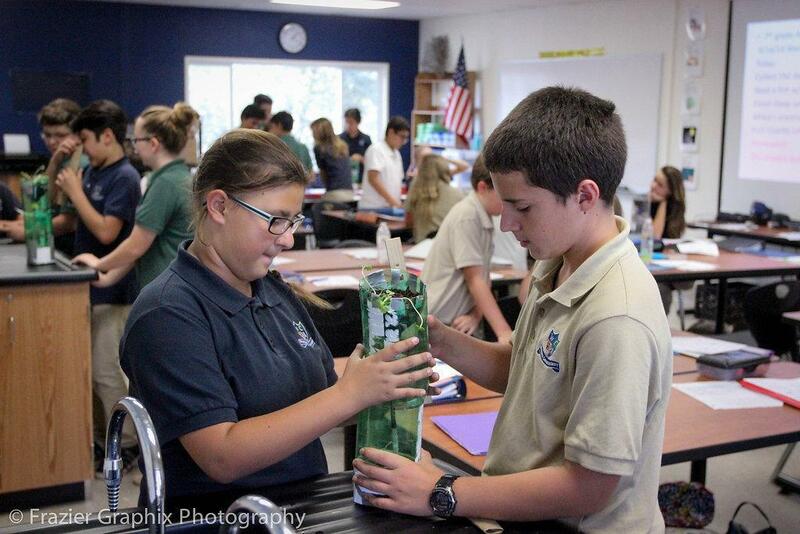 Seventh graders cycle through Advanced Robotics, Paleontology, Conceptual Physics, and Aquatic Biology. Eighth graders rotate through Advanced Coding, Language Immersion, Advanced Engineering, and Podcasting. 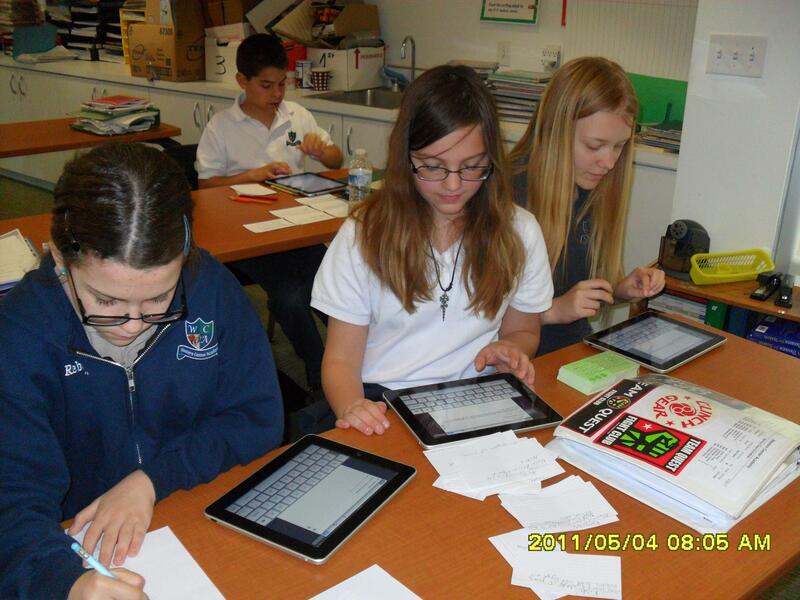 Throughout their three years of middle school, students experience all 12 of these real-world, project-based courses. To expand upon this important part of our middle school, the founding group for the high school ensured that there was a similar hands-on, project-based STEM course in the curriculum. The high school has a course affectionately referred to as “MakerSpace” where students learn wood-working, Computer-Aided Design (CAD), 3D printing, laser engraving, and Computer-Aided Manufacturing (CAM). With these skills, students work on a variety of high-interest projects including modified go-karts, theater sets, robot parts, graduation gifts, and projects of their choice. The curriculum is set up with beginners learning safety, measurement, tool use, and wood-working. Intermediate students learn CAD and 3D printing. Advanced students learn advanced CAD techniques and use the laser engraver, CNC router, and CNC mill along with all of the other skills they learned in the first two courses to create unique projects. Western Center Academy truly believes that students should be prepared for college and careers after high school. We prepare them academically for the rigors of college in their core classes. 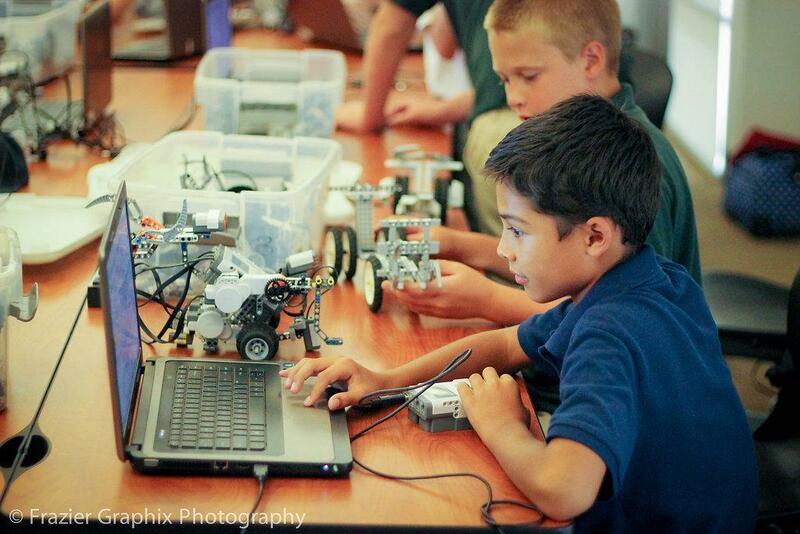 In their STEM Lab classes, they learn the 21st Century Skills necessary for success in the workplace. The results of this practice are obvious in person yet difficult to measure specifically because of the challenge of teasing out the effect of the STEM Lab classes on test scores or attendance versus all of the other school components affecting these factors. Visitors can see the engagement that students have in their STEM classes as well as the rapport they have with their teachers. Visitors often comment on how well students work together on projects because what these visitors see is the culmination of many years of working on collaborative projects. Areas where the STEM labs have the greatest effect on students are their science test scores, attendance (due to increased student engagement), and college-going rates. Unfortunately, California has been on a science test hiatus for the last few years and we have not had recent data. This year, the results of the new CAST pilot test revealed that 100% of our students had “Moderate Understanding” of science content. The last science data that was available (8th grade CST in 2013) showed that 91% of our students were proficient or advanced compared to 57% in the rest of the district. Another way that these STEM Labs contribute to student success is through increased attendance due to the high levels of engagement students feel. This cannot be entirely attributed to the lab classes, but student surveys have shown that the lab classes are highly motivational. Our daily attendance rates are very high compared to similar schools and the rest of Hemet Unified. To date, this school year, our students have maintained a 98.1% attendance rate. The four previous years, the annual average daily attendance was over 97%. We also consider our graduation rate and college-going rate to be related to student engagement. We have had only two graduating classes, so degree completion is not available yet. Our first two classes had a 100% graduation rate and 100% and 96% a-g completion rates respectively. Both years, 100% of our graduates have either gone to college, military, or religious missions. Because these hands-on laboratory experiences are so important to our mission, they are also featured prominently in our LCAP plan. Our Goal #4 reads, “Students, particularly SED students, will participate in opportunities to do open-ended projects, participate in job shadowing, hear from practicing scientists, prepare for STEM majors in college, visit colleges, and experience leadership and teamwork.” Many of these open-ended projects, learning about STEM majors, and experience with teamwork occur during our lab classes, Makerspace classes, and Engineering Days. During our Information Nights for those parents applying for enrollment, we discuss all of these opportunities and the benefits that they convey. At WCA, we feel strongly and evidence to support that we are preparing our students well for their futures and our STEM Labs and MakerSpace classes are a large part of that preparation. These classes teach students to collaborate, act as motivation to attend school regularly, teach new concepts, and give students some autonomy over the activities in their school days.